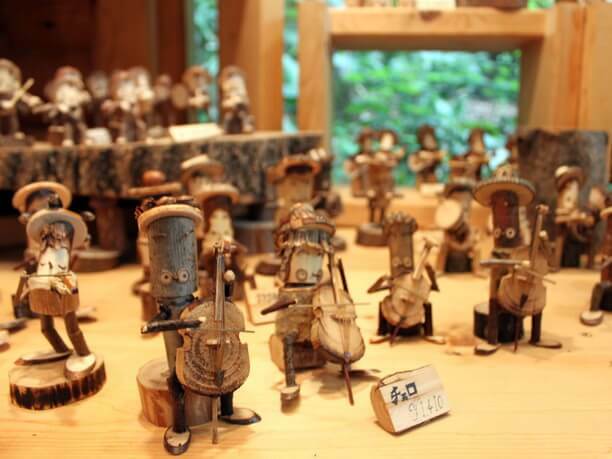 Furano known as a beautiful landscape also is a village of art with many craftsmen and writers have galleries. 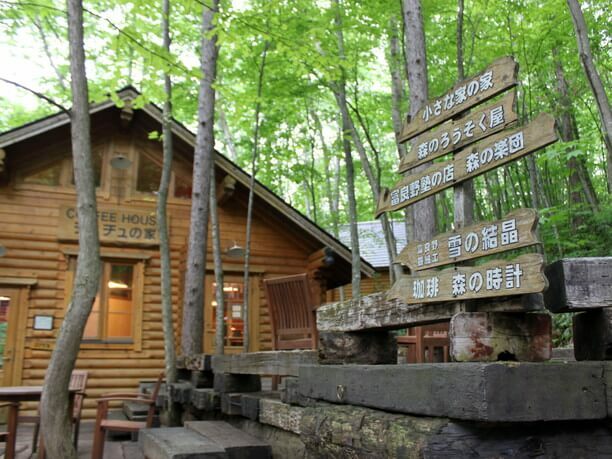 “Ningle Terrace,” located in the forest inside the New Furano Prince Hotel, sells a lot of works of Furano with the theme of nature. You can enjoy the production experience that you can only have here. 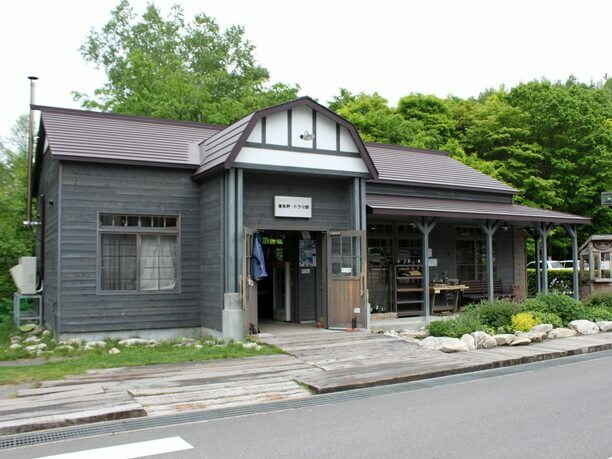 Also worth visiting is the “Furano · Drama Hall,” which sells original goods of Furano’s including works by Mr. Sou Kuramoto(倉本聰). 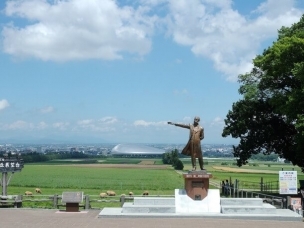 About 2 hours by car from Sapporo, and about 10 minutes by car from JR Furano Station, the site of the New Furano Prince Hotel is surrounded with surprisingly rich greenery. The Ningle Terrace adjacent to the hotel is a “Shopping mall in the forest,” with 15 shops, cafés and a production experience studio lined up along the walking path. You can encounter works created with ingenuity and wisdom. 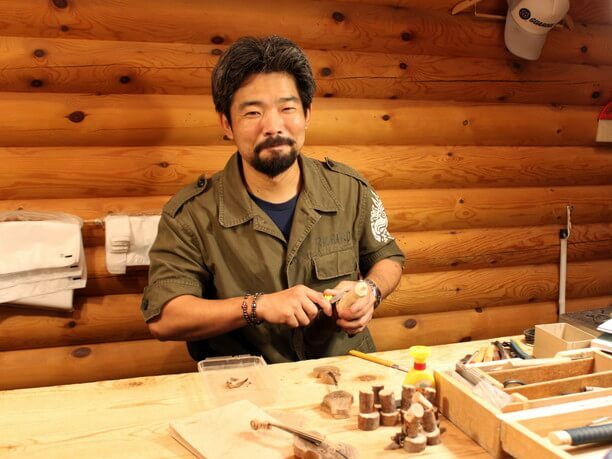 By the way, Ningle is a “forest wisdom fairy” appearing in author “Sou Kuramoto”‘s book ” Ningle,” He is a fairy about 6 inches tall living in the forest of Hokkaido. Each shop is open all year round, so you can enjoy the different appearance each season. There is also a real difference in the appearance of the shops from how it looks in the daytime and the lit up scenery at night. If you walk slowly around the walking path of Ningle Terrace it takes about 15 minutes per lap. It is a lovely path, surrounded by trees, wild birds and squirrels. 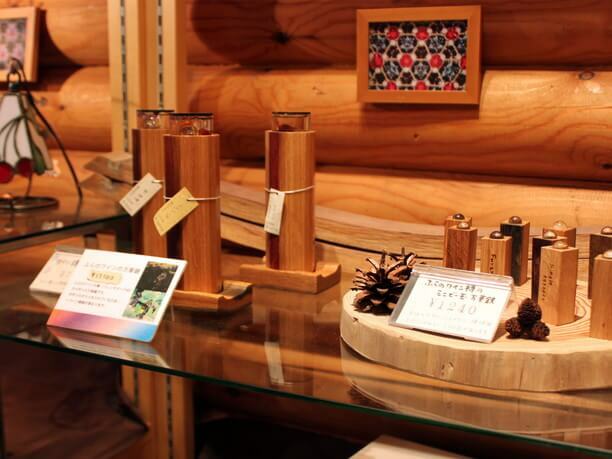 Every shop handles only handmade works that made in the Furano area. A popular shop is the “Kaleidoscope of the Small Space Forest”. 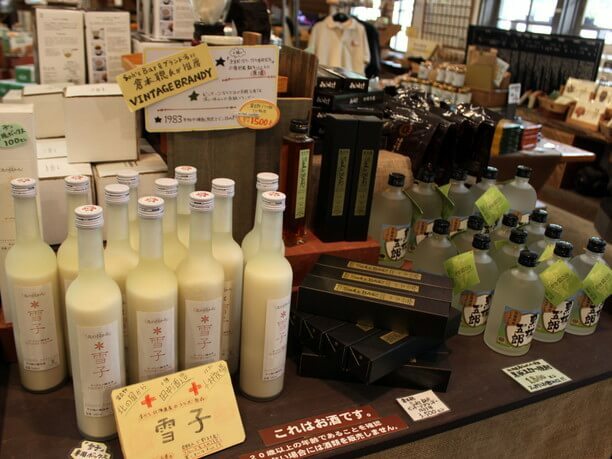 They carry a large Variety of things at reasonable prices such as kaleidoscope of twigs (1,080 yen). 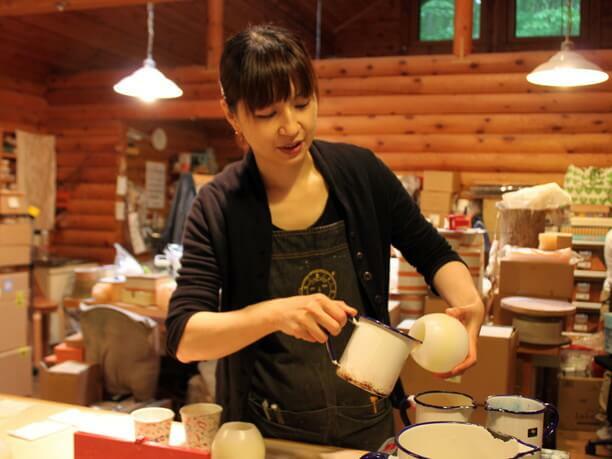 Conversation with the craftsman of the store is also one of the enjoyable features at the ‘Furano School’s Shop Forest Orchestra. 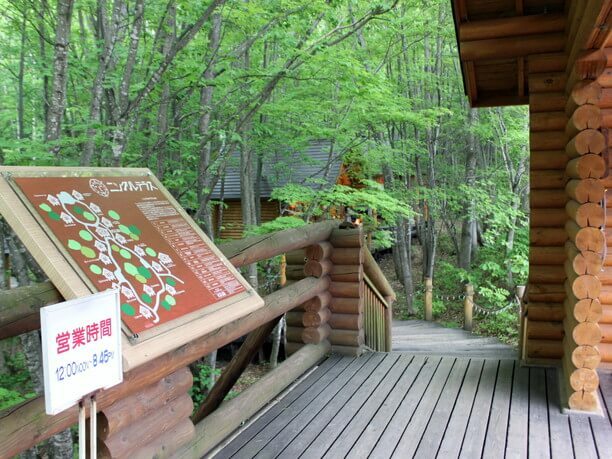 There are a number of artists using the trees near Furano to make works that cherish the color of nature. All the works have a unique handmade charm. 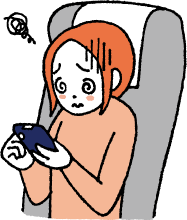 The average price is around 1,500 yen. 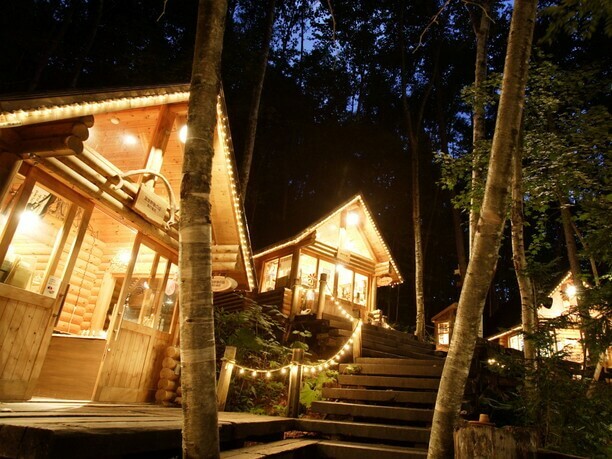 When entering the candle shop in the forest, a smell of fresh trees greets you. The outside of the wax is hard, and it melts less even when lighting the fire. A small candle can be put inside the hard outer shell so you can use it for a long while while enjoying the change in texture. 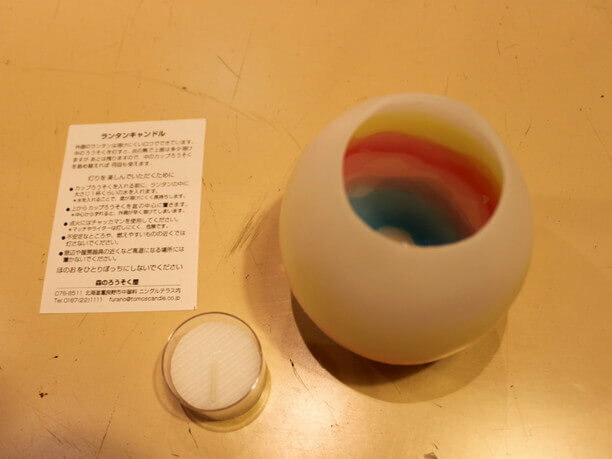 There is also a scented wood candle! In addition, it is possible to experience making dolls playing musical instruments, paper crafts, and kaleidoscopes. 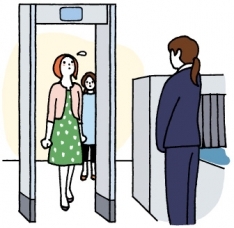 All reservations must be made at least one day in advance. 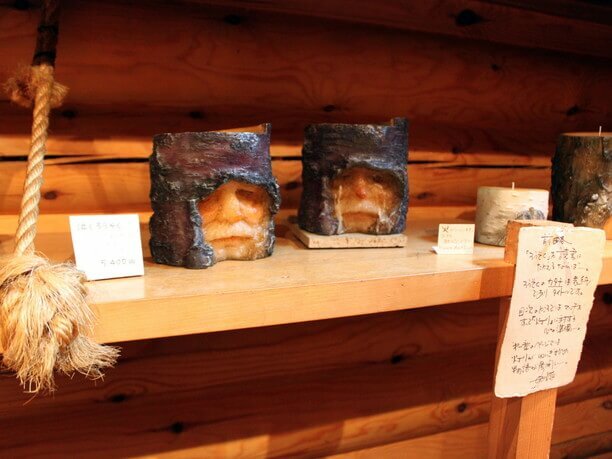 At Furano · Drama pavilion, “Original from the North” as well as original souvenirs! If you visit Ningle Terrace , you should not miss visiting the adjacent Furano / Drama House. 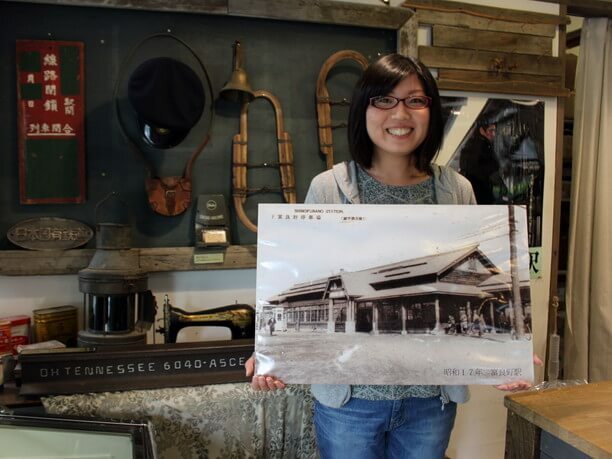 The building is a reproduction of the Furano station from around the time of its opening in 1942. There are so many goods that are only sold here, it is easy to find a unique souvenir! There are valuable railway related items and mini exhibitions of antiques in the shop. 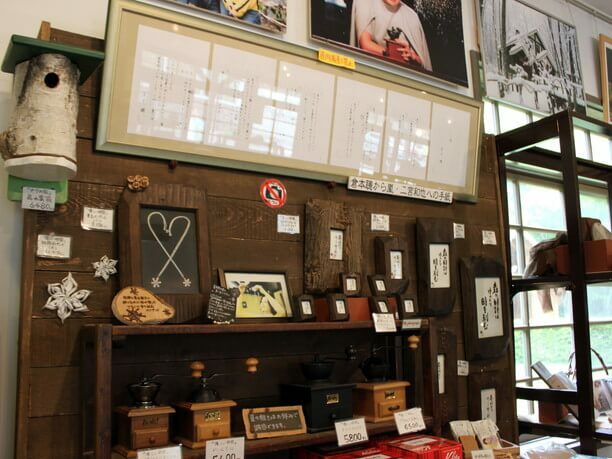 They also sell coffee beans (864 yen) and mills (5,000 yen ~). For those who want to be refreshed away from their busy everyday life, these are some of the best spots! 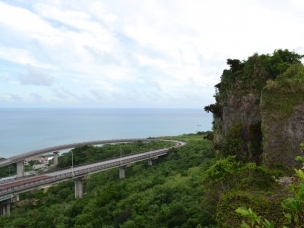 There are many easy walking paths in the area, but there are also paths that have many ups and downs because they take advantage of the natural topography. So it is best to wear “easy to walk in” shoes. Do not forget insect repellent in the summer! In addition to the production experience at the atelier, there are stores that occasionally hold craft classes inside the shops, where you can make Kaleidoscope, paper craft etc. Reservation are unnecessary. On the premises it is also possible for people's wedding ceremonies to be held as a " Ningle Wedding". It is rumored that good luck will come to those who witness a" Ningle Wedding." When walking in the area, peoples eyes tend to look down at their feet, but sometimes it is good to look up see the wild birds. There are also many cases that you can see the appearance of squirrels as they cross from branch to branch.